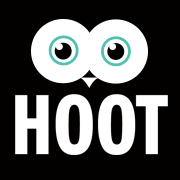 Celebrate The Holidays With HOOT! – The Open Shelter, Inc. Celebrate The Holidays With HOOT! This Saturday (12/2) at 10:00 AM, Gateway Film Center provides stimulating activities for families, including games, story readings, Dance Cam where kids and their families can watch themselves bust a move on the big screen and more. At 11:00 AM, enjoy live music by The Shazzbots! and kid-friendly short films. All presentations in the HOOT Family Film Series at the Gateway Film Center are “G” rated and admission to the series is free with a suggested donation of a canned good to benefit The Open Shelter. This month is HOLIDAY HOOT! Gateway Film Center is located at 1550 North High Street, Columbus, Ohio 43201.